Kaspersky is the Perhaps most advanced and user friendly antivirus software company in the world with programs for major operating systems like Windows and Mac. We have already share with you the Kaspersky internet security 2012 free license keys but that version was only for windows. So if you are using MAC than don’t worry this time kaspersky is giving away free keys to MAC user also. Although this is not the latest version for Apple users but they have not yet released 2012 version and one of the reasons may be that MAC has very few viruses as compared to the windows. 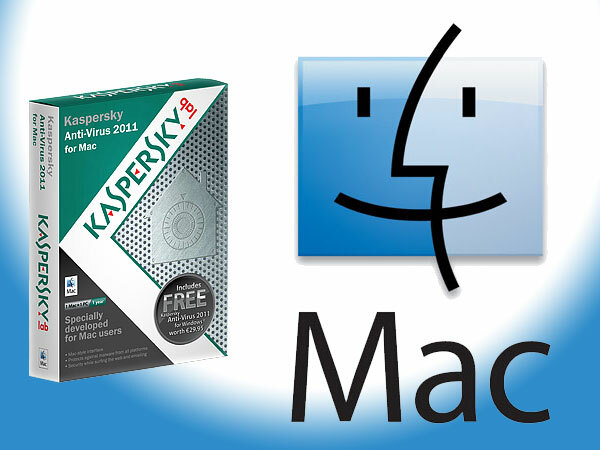 Kaspersky Anti-Virus 2011 for Mac is the latest software for Apple user yet. If you want ultimate security than this is the must program for you. The best part about this version is that it will not effect on your computer performance and block the bad guys out of your system. Essential protection for your Mac. Although MAC as very few viruses and online treats but still you need this might software from Kaspersky in order to fully protect your system. All your files are most important for Kaspersky that’s why they build a strong firewall as well as monitoring system that will make impossible for bad stuff to enter into your system. According to Kaspersky report more than 30,000 new viruses identified everyday and its growing day by day. Bad guys know that people are moving towards Apple products and that’s why they are also moving towards this operating system. Say goodbye to Trojans, worms, spyware, adware as well as viruses. Cloud-based scanning makes it impossible for new viruses to penetrate into your system. Automatic virus database updates makes sure that your software program stays upto date and ready to fight against evil stuff. 24/7 technical support is there for you to help you out and solve your problems as soon as possible. How to Get one Free for Yourself. 1. In order to get the free key first visit and like the Promotion Facebook fan page. 2. After you like the page share the promotion with your friends on Facebook or Twitter. 3. After successful sharing Promotion page will b automatically unlocked. 4. Just enter you email address and captcha code and click on green button. 5. You will soon receive an email into your Junk email folder with free license key of Kaspersky AntiVirus 2011 for Mac. 6. The mail will be in Chinese but you don’t have to worry about it. The only thing you need is a key.